Welcome! This page provides a gateway to examine in initiative to improve the East Mulloch Drainage District. It is the storm water system that runs through San Carlos Park in Lee County Florida. The San Carlos Park (East Mulloch) Drainage District is sorely underfunded and poorly maintained. Poorly maintained stormwater drainage systems ultimately negatively effect the health of the estuary by contributing excessive sediment and nutrients. This initiative was begun to address and try to correct those issues. 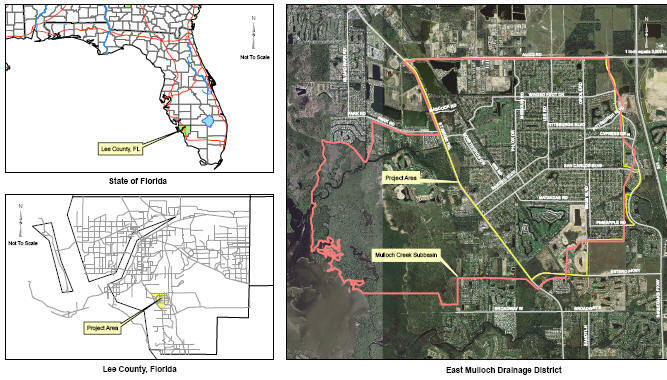 The East Mulloch Drainage District Analysis was commissioned In 2008 by the Lee County Board of County Commissioners and completed by Boyle Engineering . The cost was was over $180,000, nearly three times the annual amout the drainage district collects for maintaince. Scroll down to the bottom of the page for the reports and data. This is a diagram of of San Carlos Park showing where there is septic, sewer and city water. The areas in green have city sewer and water. Phase 1 update: June, 2012 Look how they've grown! Compare the height of the persons since 2011 below! 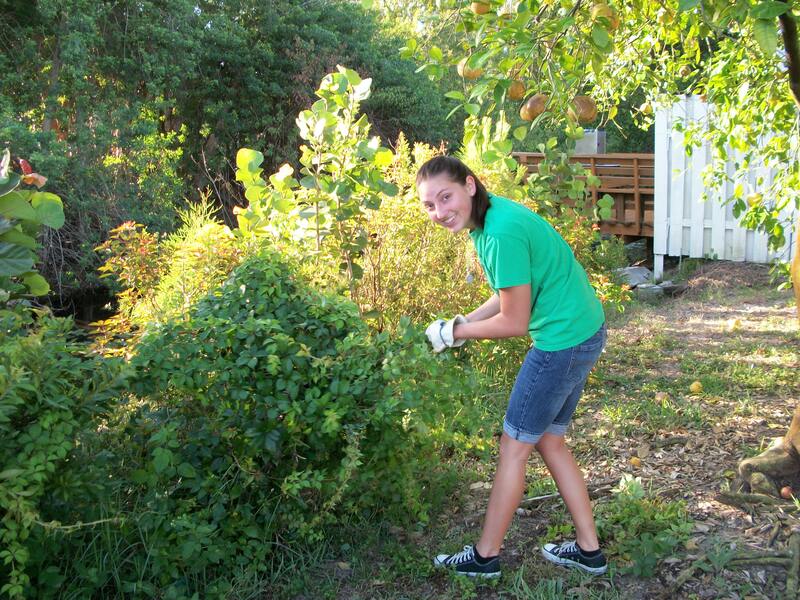 July 4, 2011 Chelsea spent 3 hours pulling vines, airpotatoes and cutting brazilian pepper. Phase 2 was completed in September of 2011 (several lots S. of current site.Site was 2 lots long; a diversity of plants were installed with help of Summer 2011 Colloquium class. Maintainance of this parcel should occur Feb 2013.